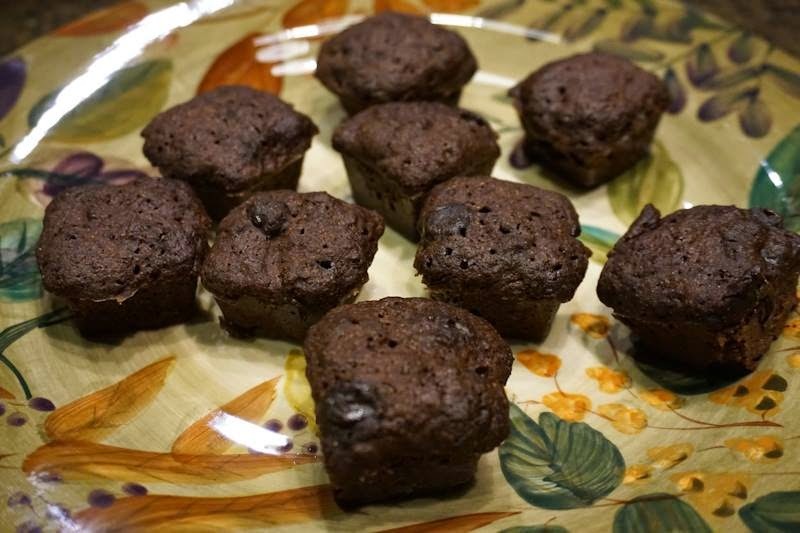 Once in a while, we make our "healthier" microwave brownies. I like them because its only one serving. 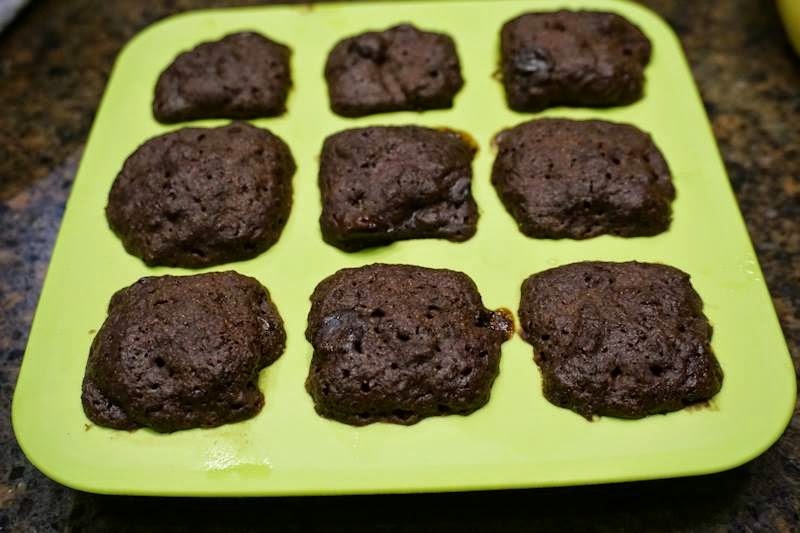 I decided to try putting my batter in my $1 silicone brownie bites pan I got at IKEA. It worked great! I only cooked them for 2 minutes, and they were perfect! 9 bites is one serving, but I could only eat 7 of them! In a large mug or soup bowl, put all dry ingredients and whisk well with a fork. Add wet ingredients and stir with a spoon. Add chocolate chips and stir in. Consistency should be like cake batter. Microwave on high (1000 kwatt microwave) for 2 1/2-3 minutes. Serve with non-dairy ice cream. YUM!